"A star of the future who's capable of performing well above the level of his year of call." Kyle Lawson’s practice covers all aspects of commercial litigation and international arbitration. In recent years, Kyle has been identified in the leading legal directories (Chambers & Partners and Legal 500) as “a star of the future” who is “capable of performing well above the level of his year of call” as well as being “excellent with clients and very quick”. Kyle has particular experience of advising on, and acting in, disputes involving banking and financial services, civil fraud, professional negligence, company law, energy and natural resources, shipping and international trade, insurance and reinsurance, and conflicts of law. PT Satria Tirtatama Energindo v East Asia Company Ltd – a Privy Council appeal from the Court of Appeal for Bermuda relating to the contested sale of a multi-million dollar geothermal energy project in Bedugul, Bali (with Mark Howard QC). The Lloyds/HBOS Group Litigation – acting for Lloyds Banking Group (with Helen Davies QC and Tony Singla) in defence of group litigation brought by about 6000 shareholders arising out of Lloyds’ acquisition of HBOS in 2008/2009 (one of The Lawyer’s “Top 20 Cases” of 2017). Fundo Soberano de Angola v dos Santos & Ors – acting for the Angolan sovereign wealth fund in proceedings arising out of a civil fraud claim against the fund’s former investment manager and adviser (with Simon Salzedo QC and Tony Singla). Eurasian Natural Resources Corporation Ltd v Dechert LLP ­– acting for Dechert (with Mark Howard QC) in defence of a professional negligence claim relating to its conduct of a white-collar crime investigation into instances of alleged fraud, bribery and corruption on the part of ENRC and its subsidiaries in Africa and Kazakhstan. VIH Hotel Management Ltd v Assas Opco Ltd & Ors – a high-value dispute before the DIFC Courts relating to the operation and management of a luxury hotel on the Palm Jumeirah, Dubai (with Michael Swainston QC). Property Alliance Group Ltd v Royal Bank of Scotland – acting for the claimant (with Tim Lord QC) in the first civil claim arising out of the ‘LIBOR-fixing scandal’ to be tried before the English courts (one of The Lawyer’s “Top 20 Cases” of 2016). The Libyan Investment Authority – acting for one of the applicants in proceedings intended to deal with a dispute about who was entitled to exercise the functions of the LIA following the outbreak of civil war in Libya (with Charles Hollander QC). Much of Kyle’s commercial disputes work also takes place in international arbitration. Kyle has acted in numerous arbitrations under a wide variety of institutional rules (including LCIA, ICC, DIFC, UNCITRAL and the Swiss Rules of International Arbitration), as well as in ad hoc proceedings. He is also frequently instructed in court applications in support of arbitral proceedings (whether seated in England or elsewhere), including applications for interim relief under s.44 and applications under s.67, 68 and 69 of the Arbitration Act 1996. An ICC arbitration relating to the construction and operation of an electricity powerplant in Pakistan. High-value, multi-party, multi-jurisdictional arbitration proceedings arising out of matters which were disclosed in the so-called “Paradise Papers” in 2017. An expedited LCIA arbitration relating to the sale of interests in a major international airport (and involving applications for interim relief to the English courts under s.44) (with Graham Dunning QC). A substantial ICC arbitration arising out of the sale of a network of telecommunication companies in the Caribbean (with Klaus Reichert SC). An LCIA arbitration relating to the construction of a US$2 billion fertilizer plant in Nigeria (with Richard Lord QC). Prior to coming to the Bar, Kyle read law at Pembroke College, Cambridge, where he obtained a Double First and was ranked first in his year in 2009 and seventh in 2010. He graduated from the Harvard Law School in 2011, where he specialised in private law, public international law and international arbitration. Kyle is a member of the Sports Resolutions Pro Bono Panel, through which he provides pro bono legal advice and representation to athletes and players in relation to a variety of contractual disputes and disciplinary matters. PT Satria Tirtatama Energindo v East Asia Company Ltd – an appeal to the Privy Council from the Court of Appeal for Bermuda arising out of the contested sale of a multi-million dollar geothermal energy project in Bedugul, Bali (with Mark Howard QC). Fundo Soberano de Angola v dos Santos & Ors – acting for the Angolan sovereign wealth fund in High Court proceedings arising out of a civil fraud claim against the fund’s former investment manager and adviser (with Simon Salzedo QC and Tony Singla). VIH Hotel Management Ltd v Assas Opco Ltd & Ors – a high-value dispute before the DIFC Courts relating to the development and operations of a luxury hotel on the Palm Jumeirah, Dubai (with Michael Swainston QC). The Ontario Teachers’ Pension Fund v Macquarie Infrastructure and Real Assets Europe Ltd – injunction proceedings arising out of the sale of interests in a major international airport and involving alleged breaches of contractual and equitable duties of confidence (with Graham Dunning QC). The Libyan Investment Authority – acting for one of the applicants in proceedings intended to deal with the consequences of a dispute about who was entitled to exercise the functions of the LIA following the outbreak of civil war in Libya (with Charles Hollander QC). RC Cayman Holdings Limited v Michael Ryan (Grand Court of the Cayman Islands) – acting for the former owner and developer of the Ritz-Carlton Grand Cayman Hotel in a high value dispute relating to the financing of the hotel and its subsequent sale to a New York private equity fund (with Charles Hollander QC). Jaytee Bionsciences Ltd & Ors v Biosynthesis Pharma Group Ltd – a claim relating to disputed shareholdings in a company involved in the extraction and purification of cannabidol (with Alan Maclean QC). Cosmetic Warriors Ltd & Lush Cosmetics Ltd v Gerrie & Hawksley  2 B.C.L.C. 456 – a dispute relating to the valuation and sale of the shares of two minority shareholders in the well-known manufacturer and retailer of cosmetics (with Simon Salzedo QC). Perkins Engines Company Ltd v Ilkerler Otomotive Sanayai ve Ticaret Anonim & Ors –  1 All E.R. (Comm) 401;  4 W.L.R. 144 – acting for the defendant in proceedings brought by a former distributor which raised issues as to existence of various alleged oral agreements, wrongful termination and implied duties of good faith and fair dealing (with Charles Hollander QC). Caterpillar Motoren GmbH & Co KG v Mutual Benefits Assurance Co  2 All E.R. (Comm) 322;  1 B.C.L.C. 419;  2 Lloyd's Rep. 261 – acting for the German subsidiary of the well-known American corporation in a claim for payments due under various performance bonds and advance payment guarantees (with Jasbir Dhillon QC). Stemcor UK Ltd v Global Steel Holdings Limited & Mr Pramod Mittal – a US $142 million claim against the guarantors of a Bosnian steel manufacturer (with Jasbir Dhillon QC). Wartski Ltd v James Stunt – a dispute between the well-known jewellers and antique dealers and a collector of fine art and antiques arising out of the sale of a purple guilloché enamelled gold cigarette case by Carl Faberegé (as sole counsel). Kyle has a particular interest in the law of privilege and confidentiality and he is regularly instructed to act in both contentious and non-contentious matters relating to these subjects. 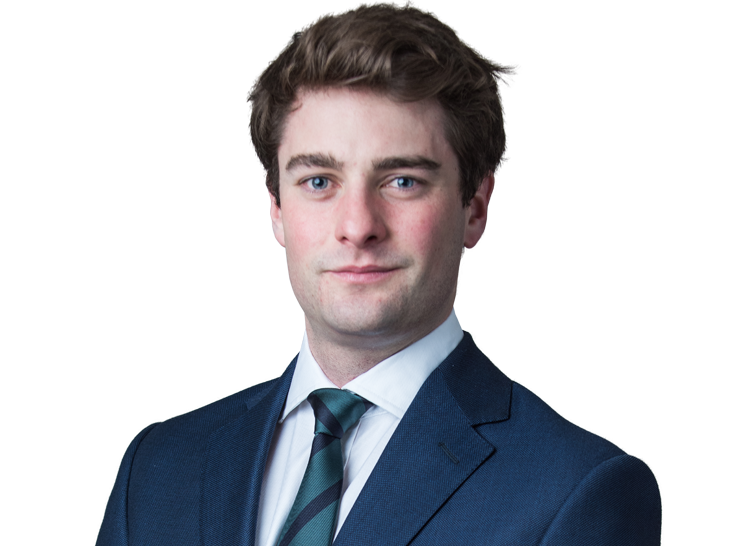 Kyle is currently acting for Dechert LLP in defence of a professional negligence claim by the Eurasian Natural Resources Corporation which raises various issues as to the advice given by Dechert about legal professional privilege and its protection in the context of a potential SFO investigation. Kyle acted for the Property Alliance Group in all of it high-profile interlocutory disputes with RBS in relation to disclosure and privilege, including  4 W.L.R. 3 (litigation privilege);  1 W.L.R. 992 (legal advice privilege); and  1 W.L.R. 361 (without prejudice privilege). A substantial part of Kyle’s commercial disputes work takes place in international arbitration. Kyle has acted in numerous arbitrations under a wide variety of institutional rules (including LCIA, ICC, DIFC, UNCITRAL and the Swiss Rules of International Arbitration), as well as in ad hoc proceedings. He is also regularly instructed in relation to related court applications in support of arbitral proceedings (whether seated in England or elsewhere), including applications for interim relief under s.44 and applications under s.67, 68 and 69 of 1996 Act. High-value, multi-party, multi-jurisdictional arbitration proceedings arising out of various disclosures which were made in the so-called “Paradise Papers” in 2017. Kyle is also a contributing author to “SIAC Rules: An Annotation” (edited by Heilbron, Hirst and Reichert), an annotated guide to the arbitration rules of the Singapore International Arbitration Centre. Leeds City Council & Ors v Barclays Bank Plc – acting for several local authorities in claims against Barclays relating to the sale of a large number of so-called ‘lender-option, borrower option’ (“LOBO”) loans (with Tim Lord QC). Property Alliance Group Ltd v the Royal Bank of Scotland Plc – acting for the claimant (with Tim Lord QC) in the first civil claim arising out of the ‘LIBOR-fixing scandal’ to be tried before the English courts. The case (which was identified by The Lawyer as one of the “Top 20 of 2016”) also gave rise to a number of interlocutory judgments, including a series of significant decisions on disclosure and privilege (see e.g. EWHC 1557 (Ch),  EWHC 3187 (Ch) and  EWHC 3341 (Ch)), as well as the leading judgment on contested transfers to the Financial List (see  EWHC 207 (Ch)). Fundo Soberano de Angola v dos Santos & Ors – acting for the Angolan sovereign wealth fund in a high-value dispute between the fund and its former investment manager and adviser (with Simon Salzedo QC and Tony Singla). Natixis Societe Anonyme & Nedbank Ltd v Famfa Oil Ltd – acting (as sole counsel) for the claimants in a claim relating to the underwriting of a syndicated loan facility which was to be provided in connection with the proposed acquisition of an upstream oil and gas company which held a working interest in a deep-water oil block in the central Niger delta. The Ontario Teachers’ Pension Fund v Macquarie Infrastructure and Real Assets Europe Ltd – acting for Macquarie, the Australian investment bank, in proceedings arising out of the sale of its interests in a major international airport (with Graham Dunning QC). RC Cayman Holdings Limited v Michael Ryan (Grand Court of the Cayman Islands) – acting for the former owner and developer of the Ritz-Carlton Grand Cayman Hotel in a high-value dispute relating to the financing of the hotel and its subsequent sale to a New York private equity fund (with Charles Hollander QC). Robert Daniel & Marilyn Dalton v Merrill Lynch International Bank Ltd – acting (as sole counsel) for Merrill Lynch in the defence of a claim relating to the alleged mis-selling of AIG Premier Bonds in the period immediately prior to the collapse of Lehman Brothers in September 2008. Kyle is regularly instructed to act in professional negligence claims and in professional disciplinary proceedings before a variety of different disciplinary bodies, including the Financial Reporting Council, the Solicitors Disciplinary Tribunal and the Takeover Panel. Acting for Dechert LLP (as part of a large counsel team led by Mark Howard QC) in defence of a professional negligence claim brought by the Eurasian Natural Resources Corporation which relates to Dechert’s white-collar crime investigation into instances of alleged fraud, bribery and corruption on the part of ENRC and its subsidiaries in Africa and Kazakhstan. Acting for a ‘Big Four’ accountancy firm (as well as individual respondents) in some of the largest FRC prosecutions of recent years, including the prosecutions which followed the collapse of RSM Tenon Plc, Connaught Plc and Aero Inventory Plc. Acting for the SRA (as junior to Timothy Dutton QC) in proceedings before the Solicitors Disciplinary Tribunal arising out of the ‘phone-hacking scandal’ at the News of the World. PT Satria Tirtatama Energindo v East Asia Company Ltd – an appeal to the Privy Council from the Court of Appeal for Bermuda relating to the contested sale of a multi-million dollar geothermal energy project located in Bedugul, Bali (with Mark Howard QC). Natixis Societe Anonyme & Nedbank Ltd v Famfa Oil Ltd – acting (as sole counsel) for the claimants in a claim relating to the financing of the abortive acquisition of an upstream oil and gas company with a working interest in a deep-water oil block in the central Niger delta. Advising a major operator of oifields in the North Sea in connection with a claim against an oilfield service company arising out of the design, manufacture, supply and installation of defective electric submersible pumps (ESPs) (with Charles Hollander QC). Acting for a leading provider of energy consultancy and brokerage services in proceedings involving wide-ranging allegations of fraudulent misrepresentation and non-disclosure (with Charles Hollander QC). Kyle has acted in a various arbitral claims relating the construction and operation of substantial overseas powerplants. Kyle has acted (with Stephen Midwinter QC) in a number of reinsurance arbitrations under the Arbitration Act 1996. He is currently acting (as sole counsel) for a major firm of insurance brokers in multi-party litigation involving various claims and counter-claims by and against underwriters, sub-brokers and insureds. Kyle has experience of a wide variety of shipping and international trade matters, including claims relating to, or arising out of, bills of lading, time and voyage charters, cargo damage, the international sale of goods and the CMR Convention. Kyle also acted as research assistant to Lord Justice Aikens for the latest edition of Aikens, Lord, and Bools on Bills of Lading. Kyle is a member of the Young COMBAR committee, a sub-committee of the Commercial Bar Association Executive Committee. Kyle is a keen sportsman and, prior to coming to the bar, he played golf for the Cambridge University 'Stymies' (2nds) and rugby for Pembroke College and the Harvard Business School.